Today Kirsteen McLay-Knopp, one of our editors here at “The Forever Years” was interviewed by our local TV channel about “Operation Christmas Child”, the project organised by Samaratin’s Purse, which provides shoe boxes containing gifts to children in some of our world’s poorest areas. See the interview below and follow the links at the bottom to read more articles about “Operation Christmas Child” on “The Forever Years”. 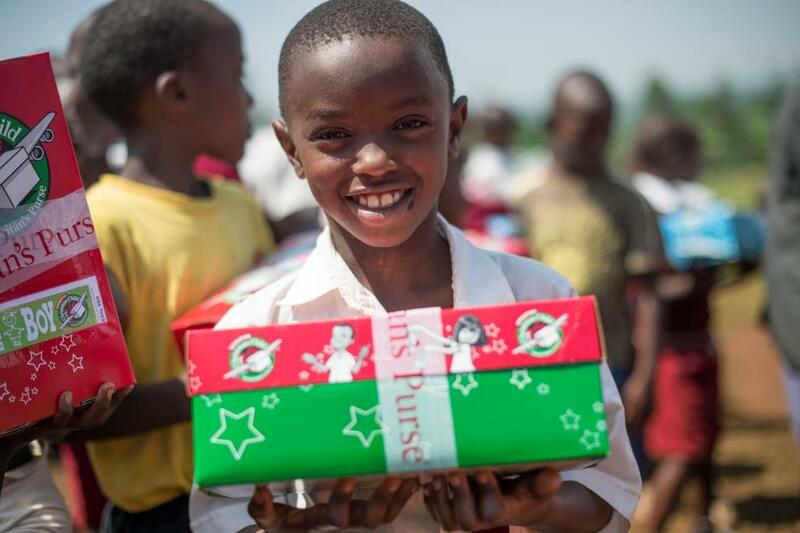 I have long been a supporter of Operation Christmas Child, the charity where gifts are put into a shoe box to be sent to a child in one of our world’s poorest areas. Samaritan’s Purse , the charity behind Operation Christmas Child (OCC) also request that a donation of $9 for the postage and shippng be included in each box. Whilst this donation s not compulsary, it does help immeasurably, as this shipping cost otherwise has to come from the organisation. Lots of people, particularly students, older people and families with young children struggle to put together a shoe box full of gifts and then, on top of that, find the shipping donation. Those interacting with children to pack a shoe box often like the project because it involves packing a box for an individual child, as opposed to just throwing money at a charity, and feel the process of taking kids shopping for the gifts and having them pack them into the box along with a note and/or photo for the child receivng it s a valuable exercise. This is true, but the problem of $9 being needed for each box still remains… and this is where I came up with a plan which turned out to be very successful. 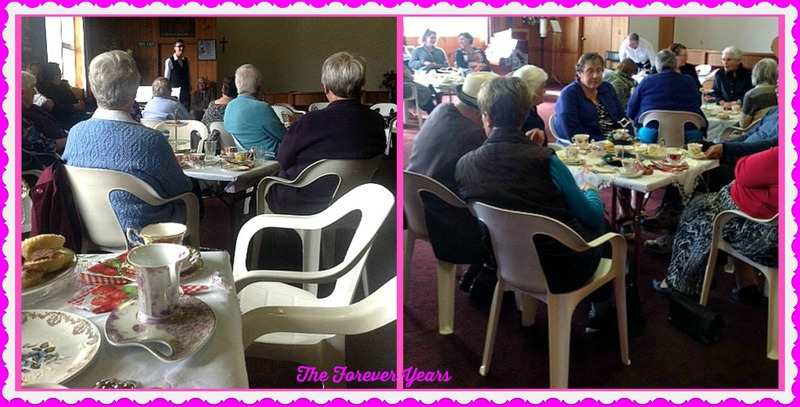 Focussing on the older people in my community in Mosgiel, New Zealand, I, with the support of others, created a high tea with entertainment. I thought the high tea was a good way to go for the older folk, who usually enjoy something which includes food, drink and relaxed social time with friends. Each person attending was charged $10. 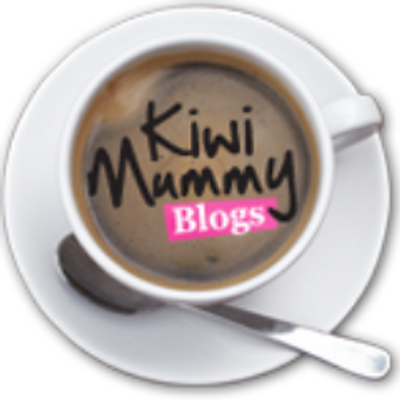 Refreshments were served on beautiful fine bone china. Tiered cake plates of a bygone era held an array of dainty sandwiches, savouries, cheese puffs and cakes, both plain and fancy. 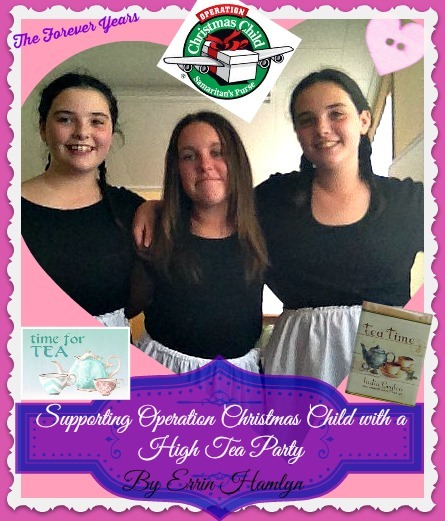 Afternoon tea was served by three young ladies who were dressed appropriately for the occasion. Entertainment was provided by local young people whose talents included singing, guitar, tenor horn and trumpet. The afternoon concluded with a “sing a long” accompanied by the band ‘Evolve‘. $335 was raised towards freight for the OCC boxes and we were all thrilled.